For recovering addicts the thought of having a relapse is a serious consideration, and rightly so. All the hard work and determination that has brought the sufferer to the other side of withdrawal and learning how to manage cravings can all be ruined by a momentary relapse. Dispose if all equipment or supplies that were needed to support your habit; take temptation and reminders out of reach.Avoid confrontational situation or those that are likely to evoke a highly emotional response as this can be all it takes to let the addiction seem like a beneficial option. These emotions are temporary and will pass. Always remember to avoid seeing, meeting or associating with anyone who was part of the society in which your addiction began or who supported and encouraged it; this is usually fellow users or sufferers. Keep the contact details of any support groups/help lines on your person at all times as a relapse can occur at any point during the day. Stay positive, remind yourself frequently of how far you have come, how many people have helped and supported you and how proud you should be of yourself for coming this far. That said; do not allow yourself to become overly confident in your progress. Minor actions can sometimes trigger off a new and stronger craving (this is especially evident in former smokers who try and test their progress by trying only one puff of a cigarette). Do not assume that you no longer need the help of groups, therapists etc by stopping attendance. Your presence at these groups will provide inspiration for others if nothing else.If it is not the first time a relapse may be possible, try and learn how to recognise the warning signs and seek extra help and support immediately. First of all, don’t despair, draw a line under the experience, write down the triggers or influences that encouraged you and start afresh. One hiccup does not mean you have failed, it simply means you need further support and your determination needs reinforcing. Identification of how, why and where the relapse occurred is essential in making sure it is not likely to recur. The build-up to a relapse can be noted from involuntary and subconscious thoughts and reactions, the person may be unaware of these as they are not in their immediate thoughts. Try to remember and document other symptoms that occurred during the time prior to the relapse. Talk to your counsellor or therapist and build a crisis action plan together using approved and professional theories.As soon as you have relapsed, seek immediate help from a qualified source; use help lines, counsellors groups etc, any method that has proved successful for you in the past. Learn how to manage everyday stresses and worries using a different approach. Sometimes our life management skills need adapting or changing totally to help us survive and succeed in our choices. 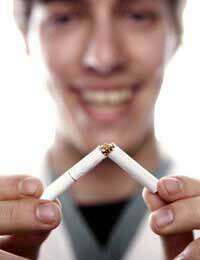 Relapse prevention is the key to being a success in kicking your habit. By being honest with yourself and others, you will find treatment and support is tailored for your needs and will therefore stand a greater chance of being successful. Hi,I've had a gambling addiction for over 30 years,each day of my life its there,I've tried stopping so many times its hard,but I am trying again,please anybody who reads my small message Don't Give Up,I have got to try and be stronger for myself and my 2 beautiful daughters,life is not easy but its great,only I can stop nobody can do it for me,take care. Thank you for your frank and honest comment. We wish you all the best in beating your addiction.